1. Guarantee the very best curl clumping by starting with a precision hair from a curl expert who can create appropriate curl sections to encourage beautiful natural curl formation. 2. Experiment with alternative cleansing methods which will nourish curls, rehydrate and keep curls healthy. Alternative methods range from diluted shampoo (DS), Low Poo, Conditioner Wash (CW), No Poo or Water Only (WO). 3. Cleanse curls only when required extending time between shampoo sessions to every few days or even once a week or more. 4. Never cleanse in water that is extreme in temperature. Cleanse in lukewarm water and use cool or cold for the final rinse. 5. When possible cleanse in the shower and after completely rinsing out shampoo or cleanse formula apply rinse out conditioner. 6. Detangle hair in shower with fingers or wide tooth comb. Rinse out conditioners applied to wet hair in the shower will help to soften and separate curls for easy detangling. 7. After finishing with a cool or cold water rinse use fingers to gently squeeze excess water from curls. 8. Towel blot with a curl friendly hair without rough edges or fabric. 9. After towel blotting separate hair into two main sections. One at the top of the head and one at the bottom. Think of the two sections as similar to a half up/half down hairstyle. Leave hair in two sections to apply leave-in styling cocktail. Undo sections after products are applied. 10. Apply appropriate styling cocktail including a detangling spray to soften curls, a defrisant to block frizz and a leave-in conditioner or curl enhancing cream. By separating hair into two sections it’s easier to distribute product. 11. When using a curl enhancing cream, work through curls, concentrating at the ends. 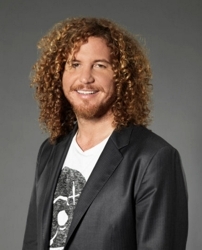 Curly haired ends need extra moisture and tend to get the most dry of the entire strand. 12. Whenever possible use fingers instead of combs or brushes which can pull or snag curls and break their natural curl pattern. 13. To get curls to clump into beautiful natural curl patterns, use hands to scrunch curls upwards to maintain shape, shimmer and bounce. 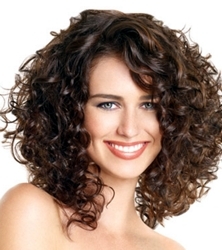 Optionally you may wish to plop your curls to encourage tighter ringlets and spirals. 14. To maintain natural ringlets and curl shapes, dry hair with a long finger diffuser which creates extra volume. Separate hair into individual 2″ sections for proper drying. Long finger diffusers ensure curls dry properly from roots to ends. Use the diffuser to scoop and lift curls allowing them to lay in the cup of the diffuser. 15. Optionally natural curls can be air dried by separating hair into 2″ sections and rolled around fingers to form ringlet shapes. Once ringlets are formed, pin to the scalp and allow curls to air dry. 16. 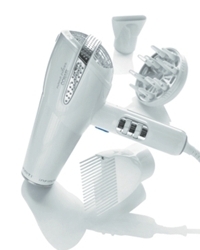 Avoid using hot irons to either amp up curls or straighten. Hot tools are especially hard on delicate curls. 17. After curls are air dried or diffuse dried, bend over at the waist and tousle gently with fingers. 18. If curls get dry in-between cleansing cycles experiment with oils or other hydration products to keep curls full of moisture. 19. Treat your natural curls with Tender Loving Care and they will look gorgeous. This entry was posted on Friday, July 15th, 2011 at 8:15 pm	and is filed under Curly Hair. You can follow any responses to this entry through the RSS 2.0 feed. Both comments and pings are currently closed.